Unlike the similarities in Charles Dickens’ novel of the social, political and economical unrest in 18th century London and Paris, two Manchester United fullbacks have embarked on very different paths under the new regime. Antonio Valencia is a player reborn under Jose Mourinho, slotting in as the first choice right back despite playing the majority of his career on the right wing for both Wigan Athletic and United. The Ecuadorian had flirted with being a right back under the guidance of Sir Alex Ferguson, David Moyes and Louis van Gaal – but was mainly used there for tactical reasons, aiming to stop the opposition from attacking down the left hand side. On the other hand, Luke Shaw has struggled to make any sort of impact under Mourinho and has found himself left out of the starting line up on multiple occasions. Shaw last started a first team match in the Premier League against Burnley, when United drew 0-0 with Tom Heaton playing a blinder in the visitors goal. You have to back to August to find the last time United won a match with Shaw in the starting line up. 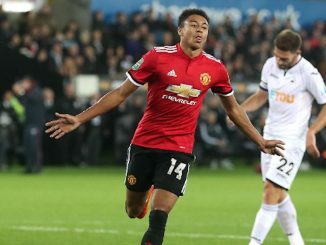 Injury problems, confidence issues and public spats with the manager have not helped the left back’s cause and his playing time has been limited to brief outings in the FA and League Cup, despite being an unused substitute in the 2-1 victory over Blackburn Rovers on Sunday. The young left back can look to Henrikh Mkhitaryan for inspiration, as the Armenian is now one of the first names on the team sheet despite being out of favour for the first four months of the season – but when will he get his chance? Antonio Valencia has played more times for Manchester United than Andy Cole, Norman Whiteside and Brian Greenhoff. When the season is out, he will have surpassed Paul Ince, Rodger Byrne and most likely Cristiano Ronaldo – the man who vacated Old Trafford in the same summer Valencia arrived. That was eight years ago and the winger has been a steady performer for the club with blistering pace down the right hand side, leaving many fullbacks for dead. Ferguson often ordered the Ecuadorian to man mark Ashley Cole, who would cause United problems with his overlapping runs. Valencia was always disciplined enough to ensure that his performance was for the benefit of the team at the detriment of his own attacking creativity. Although he may not be mentioned in the same breath as the elder statesmen of Zlatan Ibrahimovic and Michael Carrick, at 31 years old, Valencia is an experienced professional with 87 national caps to his name and has been a pivotal part of Mourinho’s lineup this season. His attributes are perfect for an attacking fullback, especially with the likes of playmaker Juan Mata operating on the right handside, who naturally drifts infield – leaving a void for his teammate to gallop into. He looks more comfortable at full back than he even did as a wing back in van Gaal’s 3-5-2 formation and continues to reinvent himself, despite the competition at the club. With United competing on three cup fronts, Valencia will play a crucial part in the run up and his blistering pace will no doubt compliment the creative guile of Paul Pogba, Mkhitaryan and Ibrahimovic in front of him. On the other side of the spectrum, Luke Shaw has seen his stock plummet as the season has evolved under the Portuguese. Following in the footsteps of the likes of Denis Irwin and Patrice Evra, who left backs who were adored at Old Trafford, Shaw needs to convince Mourinho he has the stomach for the fight to get back into the first team. He has been criticised for his weight by Louis van Gaal, his performances for United and commitment by the current United boss. It really has been a season, so far, to forget for Shaw – who is still looking to rediscover his form prior to the horrific injury he sustained against PSV last season. This is a key part of Shaw’s development and it can take a significant amount of time to return to an optimum playing level – just ask Alessandro Del Piero, the Brazilian Ronaldo or indeed Shaw’s teammate currently occupying the right back spot. Valencia broke his leg a season after joining the club in the 0-0 draw with Rangers at Old Trafford. It was a testament to the mental strength of Valencia, who was able to recover in time for the backend of the 2010/11 season – playing a role in United’s title win and starting in the European Cup final in the 3-1 defeat to Barcelona. 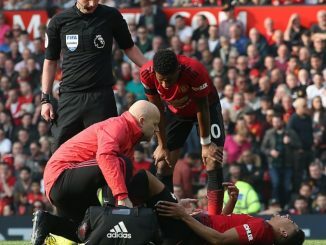 His injury wasn’t as serious as Shaw’s break – which ruled him out for the whole of the season and the European Championships with England – but he is an example to take inspiration from and Shaw must believe he is capable of making a claim ahead of Matteo Darmian, Daley Blind or Marcos Rojo. His absence against Blackburn Rovers, will surely be frustrating – considering winger Ashley Young featured in at right back ahead of him. He has now also been left out of the squad travelling to France to take on St Etienne in the Europa League in favour of the three players mentioned above; Rojo, Blind and Darmian. Mourinho explained that the left backs in the squad play “the way I like a full back to play”, which doesn’t bode too well for Shaw right now. There is no doubting the quality of the left back, who should be a top player for the club for many years to come with his motoring up and down the touchline, but he needs to be up to the Mourinho challenge as Mkhitaryan was at the start of the season as well as Bastian Schweinsteiger who has worked his way in from the cold. The extremely talented Anthony Martial still finds himself in limbo and it is down to both youngsters to ensure that the United manager has no choice but to play them together on that left flank. Maybe the one thing that Shaw needs is another chance, as alluded to Mourinho in his press conference today, by and keeping with the Charles Dickens theme a more suitable novel reference could well have been Oliver Twist – “Please sir, can I have one more?”. 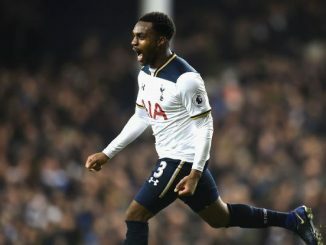 Left-Back Swap Coming At Old Trafford In Coming Months?